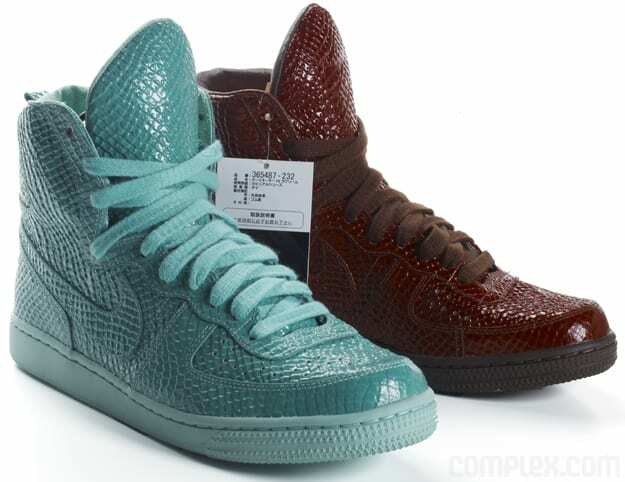 Swagger&apos;s Harajuku, Japan flagship put these Nike Terminator Hi Supreme Quickstrikes on sale over the weekend, and due to the hype surrounding the patent snake-skin-mint-chocolate chip stompers, Nike Sportswear has decided that they deserve to go global. On Saturday, July 25th these sneakers, designed by the Swagger team, will go on sale in European and American markets. For the U.S., that probably means 21 Mercer in New York and the Montalban in L.A. If you live in the middle of the country, allow us to suggest the Acela.